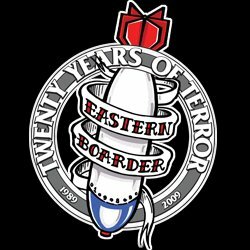 Eastern Boarder Natick: Analog & Gravis G.O.S Round 1 Results! 1st Place- Jonah 200 pts. 2nd Place- TJ Hession 150 pts. 3rd Place- Ryan Emily 100 pts. 4th Place- Matt Jay 75 pts. 5th Place- Fabricio 50 pts. 6th Place- Jake Dionne 25 pts. 7th Place- Steve H. 20 pts. 8th Place- Jake P. 15 pts. 9th Place- Dewallace 10 pts. 10th Place- Josue 5 pts. Overall everything went great for the day. We had over 50 skaters enter. Tons of prizes were given out form Analog, Gravis, Frends, Bones, Weathered, ShapeDeuce, and Granite Skate. Ryan from Analog & Gravis was cooking food on the grill in the 90 degree weather and handing out PoP chips to everyone, thank you Ryan and PoP chips for all the food and prizes. Remember guys the top 8 point holders will skate in the Finals before this years Fall Brawl event in November at The Seaport World Trade Center in Boston. The next chance you have to get some more points is Sunday July 31st, at Leominster Eastern Boarder. Registration starts at noon again. Hope to see most of you guys from the Natick game there!! Furthest Ollie Contest Winner, Pat Donfro.